How amazing does this guy look?... 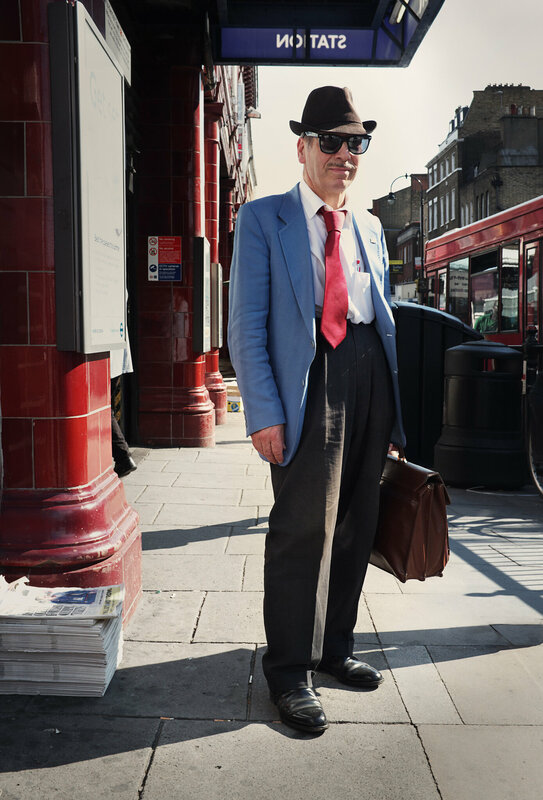 This dapper gent was photographed in Kentish Town by Dean this week. Dean said 'I thought he looked so great and totally authentic. This chap was not into 'The Look'. He was The Look, The Look was his!! I approached this just over 5 foot fellow and asked him if I could take his picture. He seemed surprised that anyone would want to, but in a strong Italian accent agreed. He also explained that his Daughter was a Photographer, if you are out there let me know who you are and please compliment your father on his appearance... Anyway after a few moments he was gone, into the station and on his way... Maybe he was over in London for the Olympics ?... Maybe I'll never know'.